My nephew Harley is a fierce hunter. 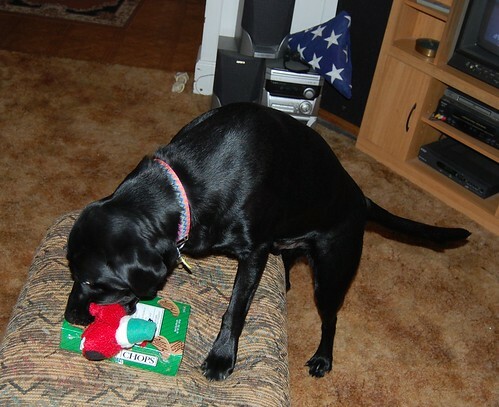 Here, he catches Santa Dog trying to steal from his box of Christmas treats. 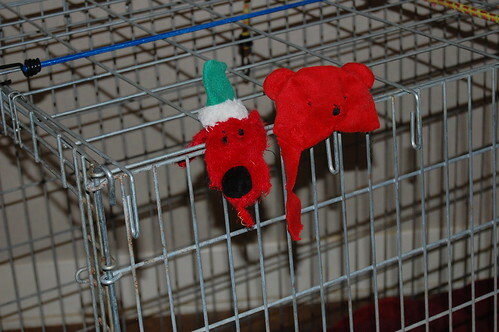 Two days later, Santa Dog joins Shredded Teddy on the wall of Harley's Trophy Room.